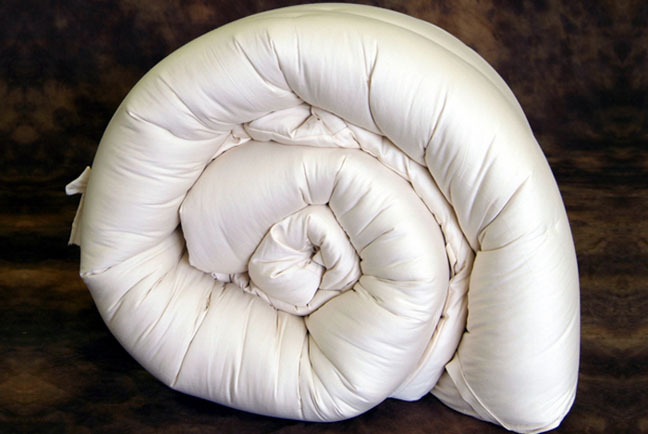 Crib Size: approximately 1″ thick and is recommended for infants over 3 months of age. Made with Premium Eco-Wool our famous blend sourced directly from about 20 family farms in Oregon & California, USA. It is the nicest wool we have ever seen- incredibly clean, dust free and virtually vegetable matter free. 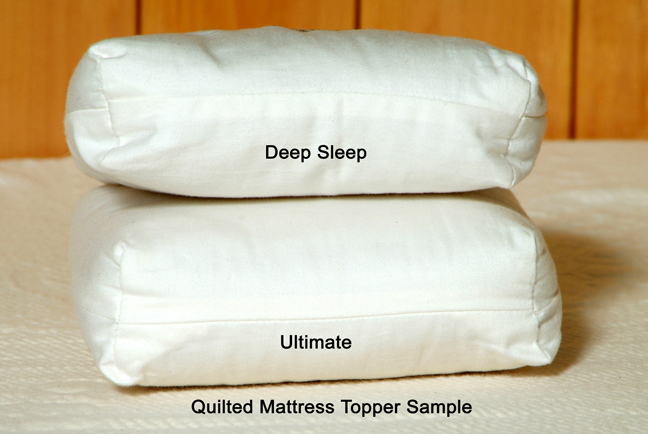 In commitment to local sourcing, we are proud to announce we will begin to offer a USA grown and milled organic cotton sateen in 2015. 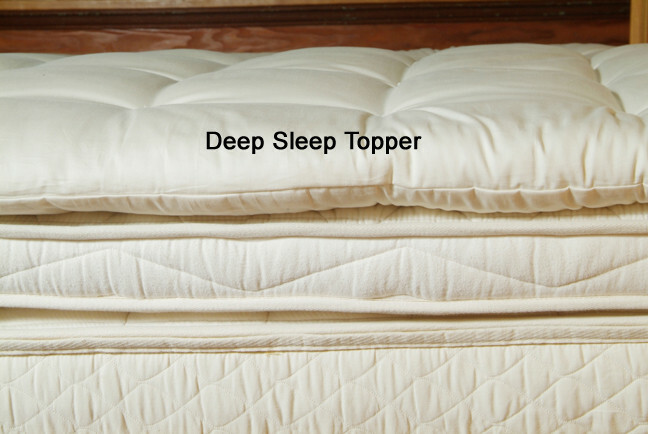 How Do I Choose A Mattress Topper? 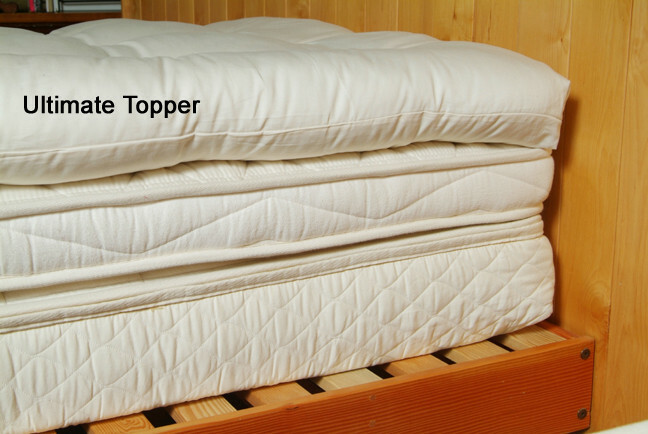 It will depend on the goal you have in mind for using a topper. When the goal is to create more cushion (or softness to your bed) then you’ll need to determine just how much cushion you would like. 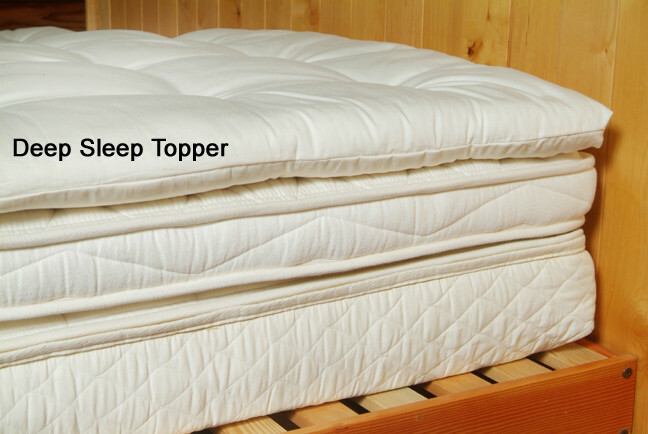 People who are in bed for a long periods of time or who have fibromyalgia greatly benefit from the Happy Lamb Fleece?s ability to relieve pressure points. We are both sleeping better, love the comforter, the pillows and the wooly topper? can’t believe we waited so long and we’re very happy with our purchase? so much so that we will be back for more. We bought a wool topper and it is wonderful! The wool topper made an immediate difference in our rest. We have a regular old mattress and even putting a couple of inches between us has made all the difference in the world. I received my wool ultimate topper yesterday and it is GREAT! I absolutely love it. No more aching back and shoulder pains!! 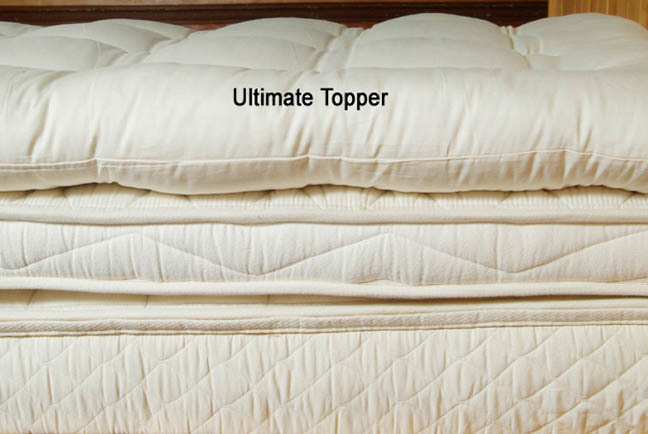 Having the topper vs. not having the topper is like night and day. I’m super pleased with it. Finally some rest at last! 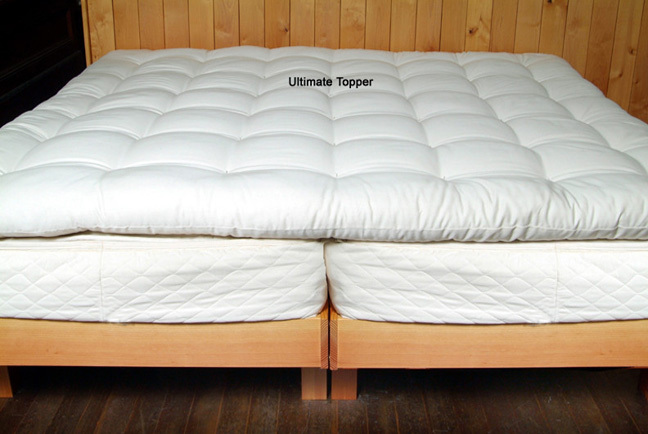 My ultimate mattress topper is every bit as good as I hoped it would be. I’m very pleased. I went to your web site and it was the combination of the right product made by a company with the right philosophy to suit me on both levels. This item is Incredible…I am a part of a massage team at Breitenbush Hot Springs and we use them for on top of our massage tables for that Extra Cush & to have a natural comfort between the clients and the surface of the table….I have bought organic wool pads before but with the polyester backing, now that I have had a chance to check out your 100% organic product I am completely in awe and could never go back! Plus we are very happy that you are a Northwest company as well so we are supporting local as best as we can.Thank you for an Incredible Product….more orders to come!? I have been very happy with all the things I have bought from you guys! My husband and I especially like the wool products you guys make there. We have a comforter, which has been great in all seasons, pillows, and a wool mattress topper- which has transformed our sleeping experience! My husband has had trouble sleeping in the past, but sleeps very well with our new arrangement! ?